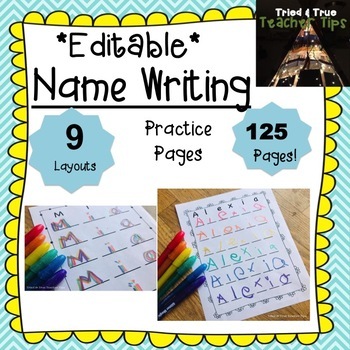 Editable Name Writing Practice 125 Pages! 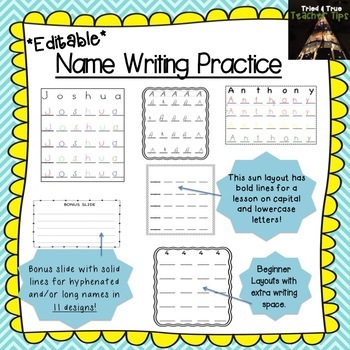 This lesson will help students master writing their names! 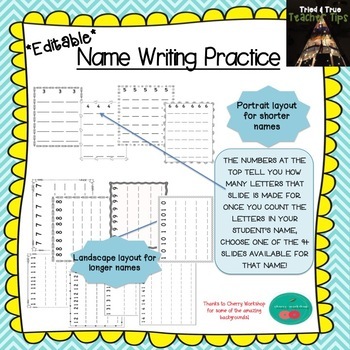 Just count the number of letters in the name you want to create a document for choose one of the 9+ layouts for that name length! 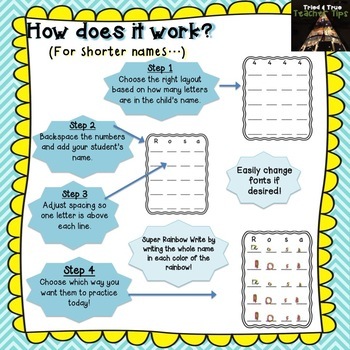 *Editable document allows you to add your student's name and choose the font you want! *Various borders for use throughout the year!